It might only be April 1, but Dubai Opera is already getting ready to deck the halls and trim those trees with the announcement of their first festive show. 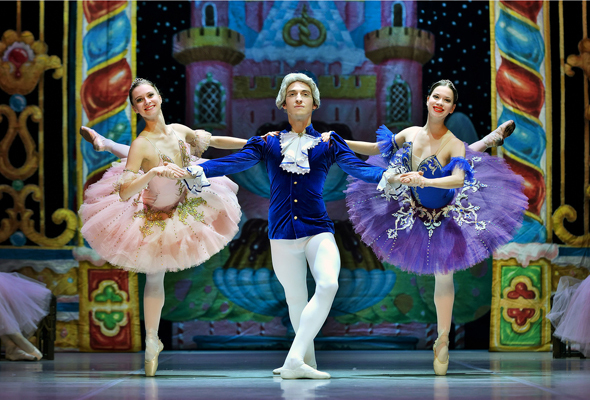 The festive tale of The Nutcracker will be performed by the prestigious Saint-Petersburg Tchaikovsky Ballet Theatre accompanied by a live orchestra from December 4 to 7 December 2019. Tickets are now on sale for the winter performance from Dhs250, with a special early bird discount of 20 per cent on all seat categories available until April 14. First performed in 1892 at the Marinsky Theatre in St Petersburg, the popular show tells the tale of Clara, a young girl who embarks on a magical adventure as her beloved Nutcracker comes to life, battles the mouse king, waltzes her through the swirling flowers of snow, and joins the Sugar Plum Fairy to reign again in his kingdom. The Saint-Petersburg Tchaikovsky Ballet Theatre was founded in 2014, and now consists of 53 professional dancers, performing shows including Swan Lake, Nutcracker and Romeo and Juliet around the world.